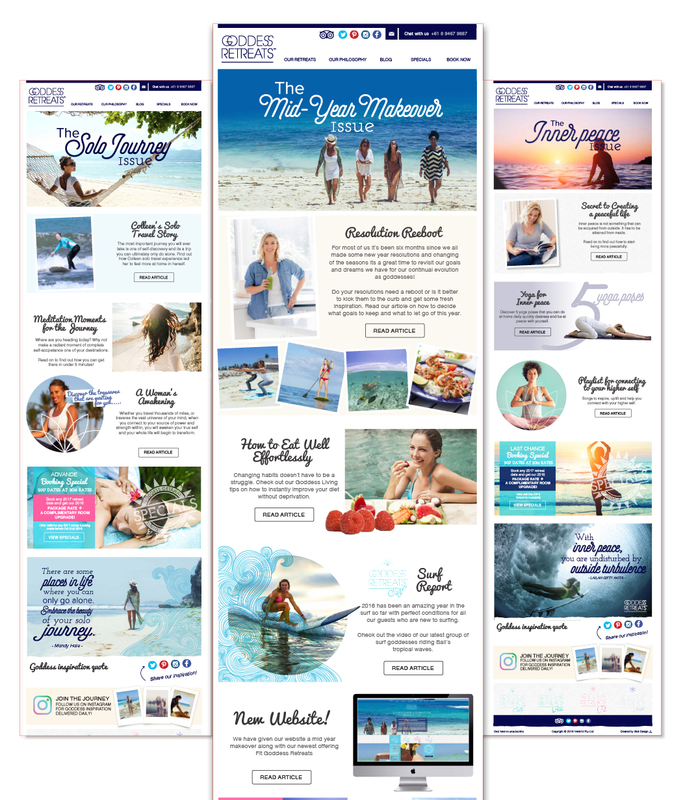 We were approached by Goddess Retreats in July 2015 to redevelop and upgrade their websites. The new Goddess Retreats website is aimed at women of all ages and encompasses their four sub sites including BaliGoddess, SurfGoddess, FitGoddess and SnowGoddess. The new site is user friendly, easy to navigate and has a host of new features including a calendar, Compare Retreats, a reservation portal with online payment and a blog. Alongside the website we create regular EDMs featuring special offers which are sent out to their extensive database.